Razor-sharp for clean, easy cutting. 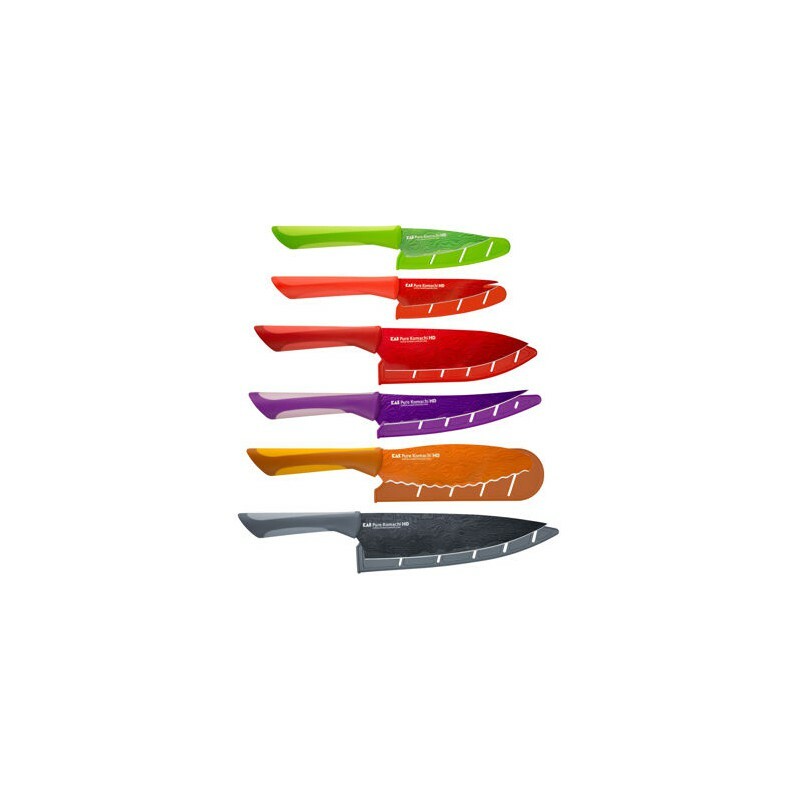 Comfortable, lightweight handles, color-coding helps guard against cross-contamination of food. 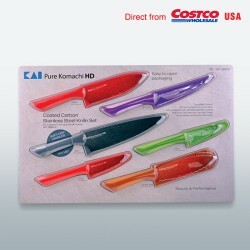 High-definition photographic coating is food safe, helps food release quickly from the blade. The brilliant colors of Pure Komachi HD kitchen cutlery come alive with a beautiful, high-definition pattern coating that helps food release quickly from the blade. 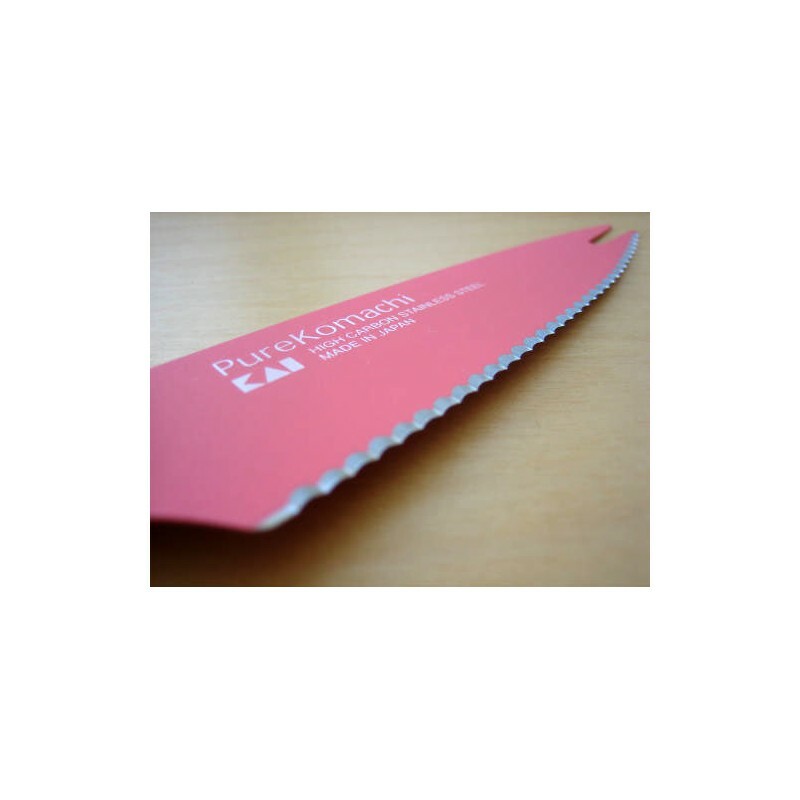 The bold color is achieved by bonding food-safe, United States Food and Drug Administration approved liquid coating and high resolution images on the carbon stainless steel blades. The non-stick coating resists corrosion, makes clean up simple, and allows the knife to glide through food with ease. 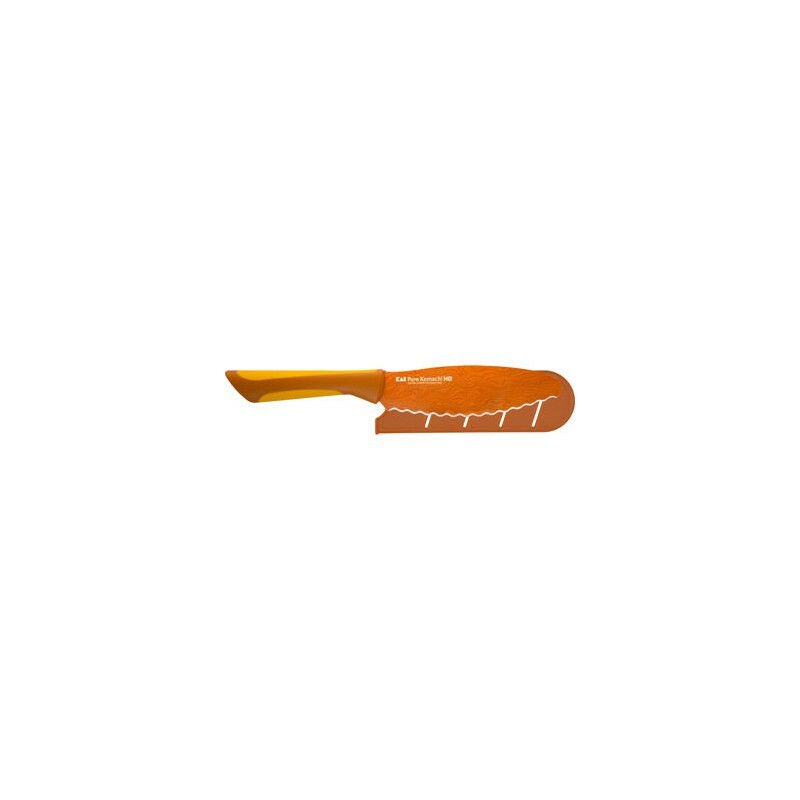 Color contoured & genuine soft grip handles for comfort. Incredibly sharp, Pure Komachi HD knives make a great addition to any kitchen.